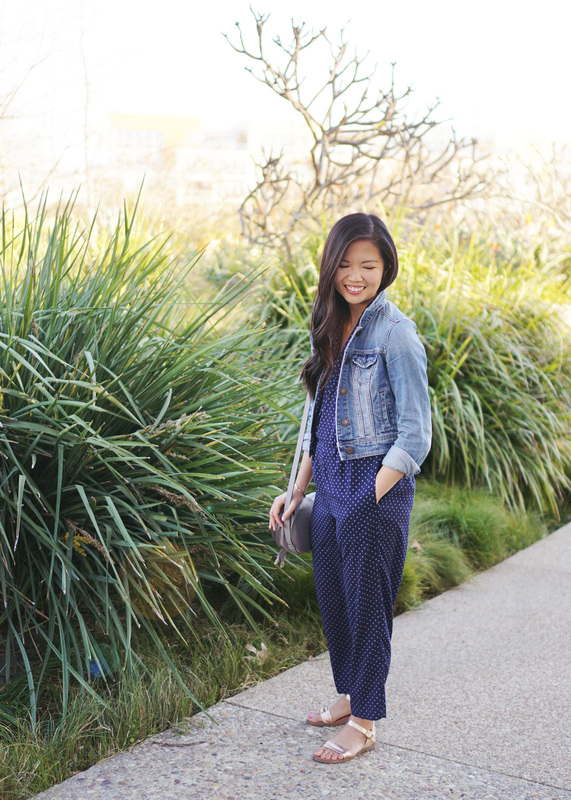 If I told you that I wore this jumpsuit four times in the past two weeks, would you judge me? Sorry, not sorry — it’s just too good not to wear over and over again. 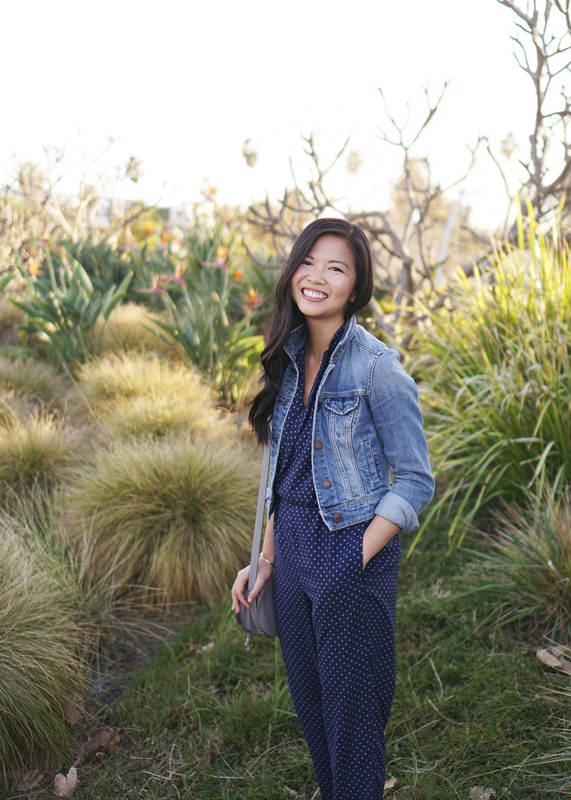 I bought this navy jumpsuit from J.Crew over President’s Day weekend, just in time for my trip to LA and my trip to Havana. 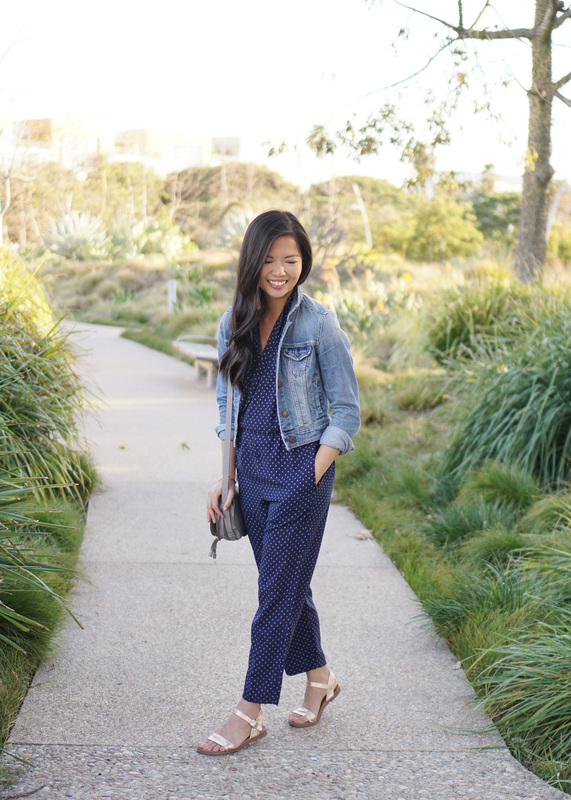 It’s rare to come by a jumpsuit for short girls, so this one had me sold when I saw that it came in petite sizes (I’m 5’2″ and wearing a 2P here). It’s hard to tell with my jean jacket on, but it’s short sleeved, has a feminine wrap detail in the front (with a small snap button to make sure you don’t accidentally expose yourself!) and is a dream to wear. It’s so comfy, James calls them pajamas. If wearing something so good on repeat is wrong, then I don’t want to be right! 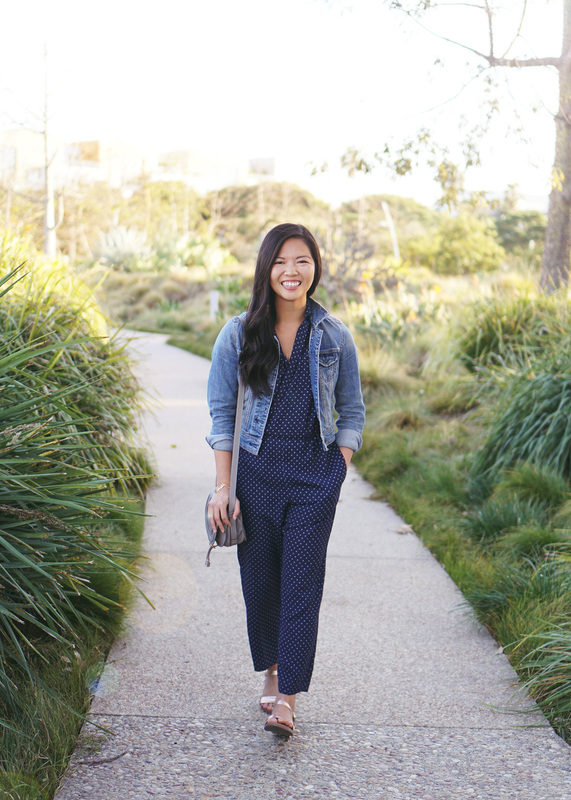 I’m telling you — get yourself this jumpsuit ASAP (especially while it’s on sale and before it sells out!). 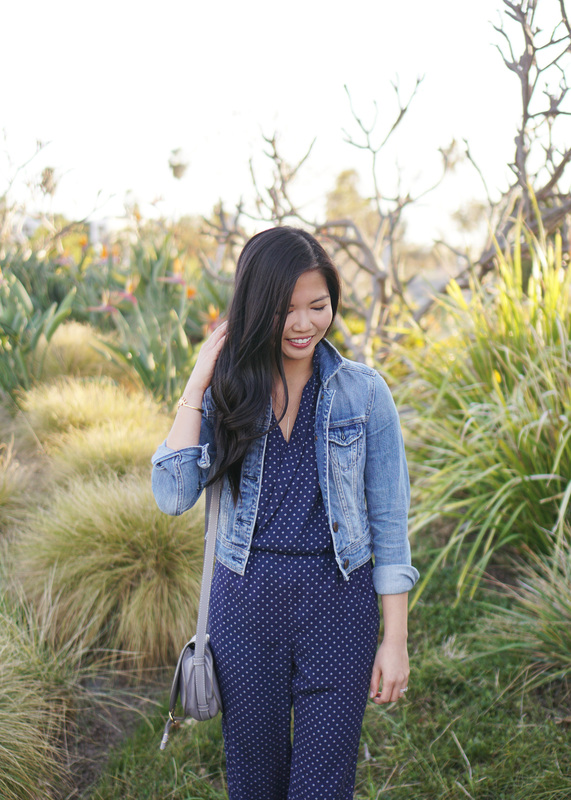 Jumpsuits are my jam! Yours looks super comfy!! I love how the denim jacket adds a bit more structure to it!